What will be the new Skoda Octavia 2020? Skoda is now right on the crest of a wave! The memories of the powerful Skoda Kodiaq RS sports crossover was introduced not so long ago, later this year they will see the updated Superb 2020 and even the compact Skoda Kamiq crossover. Take a breath! What kind of info do we have about Octavia? Until the end of 2019, we will definitely see the fourth generation of the most popular model. Here is the first information about the new product, as well as renders, created on the basis of the data obtained. 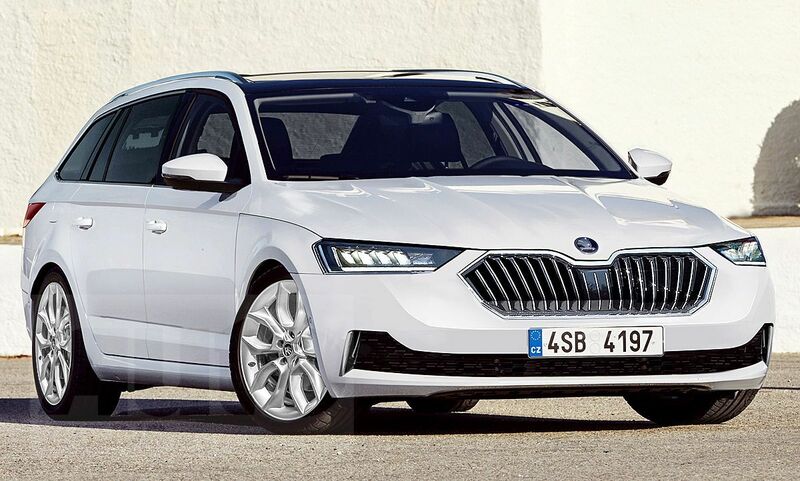 Despite the fact that the new Skoda Octavia 2020 will generally remain in the same dimensions, due to the increased wheelbase inside it will become noticeably more spacious, and the proportions of the body will change. Of course, the novelty is seriously transformed externally. The automaker will not repeat its experiment with the "four-eyed" face, again combining the head optics into two traditional headlight units. The body will now look expensive, flattering and elegant thanks to bright accents on horizontal lines and complex bends. The defining attributes of the new look are chrome and black glossy finish. The technological component will rise to a new level thanks to a package of semi-automatic driving systems, a digital instrument panel, and improved voice control.